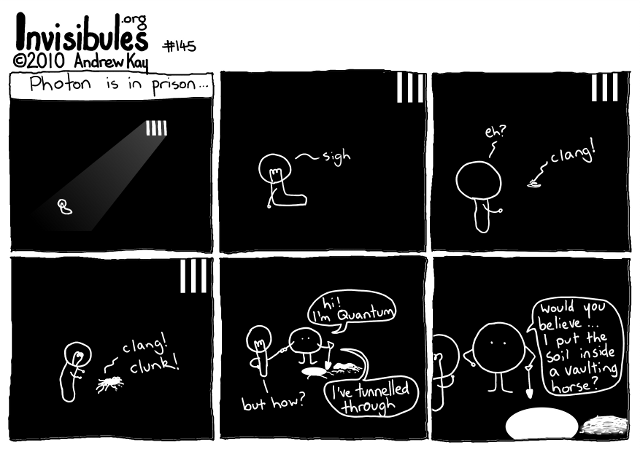 Yesterday you needed to know about the double slit experiment, and today’s joke is entirely mysterious for those who’ve never heard of quantum tunnelling. I apologise. Don’t worry, this story line is now on hold for a while. 5. (hi! I'm Quantum) (I've tunnelled through) --but how? But is it just a quantum trap?